For Sale is a used 4in superlift from my 2003 ranger. included is everything to lift the front of the truck. 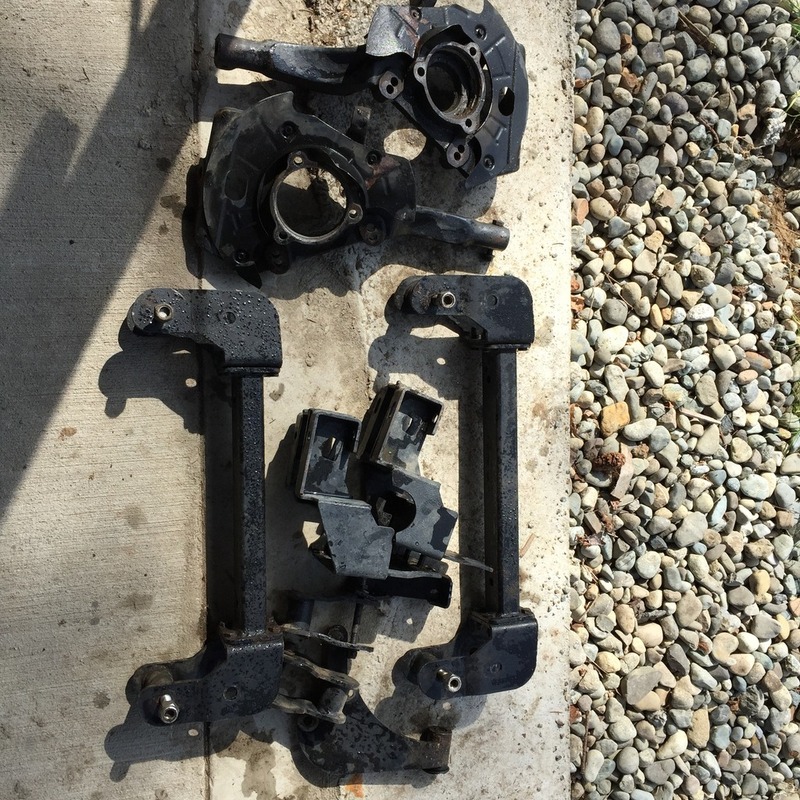 only thing missing is the brake line drop brackets and front shocks (I ran extended SS lines I will include these for $50) have most of the bolts but it would be good to replace the hardware. all parts are in good shape but have been used. the cross members have few nicks but everything is fully functional. I would give everything a fresh coat of paint and some new bolts and it would be good to go and look new! let me know if you have any questions thanks! 33x10.5 bfg a/t with 4in superlift?